Written by Melissa on Nov. 10, 2017 in Development. This is the fifth part in a series on applying devops principles and practices to game development. You can read the first post in the series, and see the entire series under the devops in game dev tag. In our post on what the devops philosophy is, we wrote about revisiting workflow annoyances periodically. Sometimes you get more time and/or money. Sometimes you learn of an easy way to solve a problem. There's something that got a lot easier for us recently: chatops. "Chatops" is a trendy word for a subset of devops that focuses on streamlining work using extensible chatbots (e.g., Lita, Hubot, and Errbot) in team communication tools (e.g., Slack, HipChat, etc.). We use Lita on Slack, so I'll stick with those as concrete examples. As a simple-but-nice examples, you might ask Lita to run an automated build for you, and it will connect to Jenkins and run the build you ask for. You don't need to leave Slack open a tab, log into Jenkins, find the job you need, and run it. Something really important that well-implemented chatops provides is the ability to add context-appropriate information to conversations that are already happening. Last update on Nov. 14, 2017 . Written by Gregory on Nov. 9, 2017 in News. Due to unconfirmed reports of unpurchased IndieGameStand keys showing up on key reselling sites, we've revoked Steam keys which have not yet been redeemed from IndieGameStand and Desura, both sites that disappeared or changed hands without paying us money they owed. Last update on Nov. 9, 2017 . What's Happening on Exploit: Zero Day These Days? Written by Melissa on Nov. 6, 2017 in Business, News. 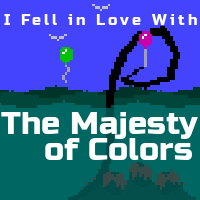 We've been heads down on remastering "(I Fell in Love with) The Majesty of Colors" the last few months (along with getting Rosette Dramatic LARP to a stopping point). We wrote about our realizations on project multitasking earlier this year, so we've tried to focus down as much as is reasonable. That means that the in-flight game most left alone is Exploit: Zero Day, our cyberthriller puzzle game. Last update on Nov. 7, 2017 .